Bubble King Skimmer Users. 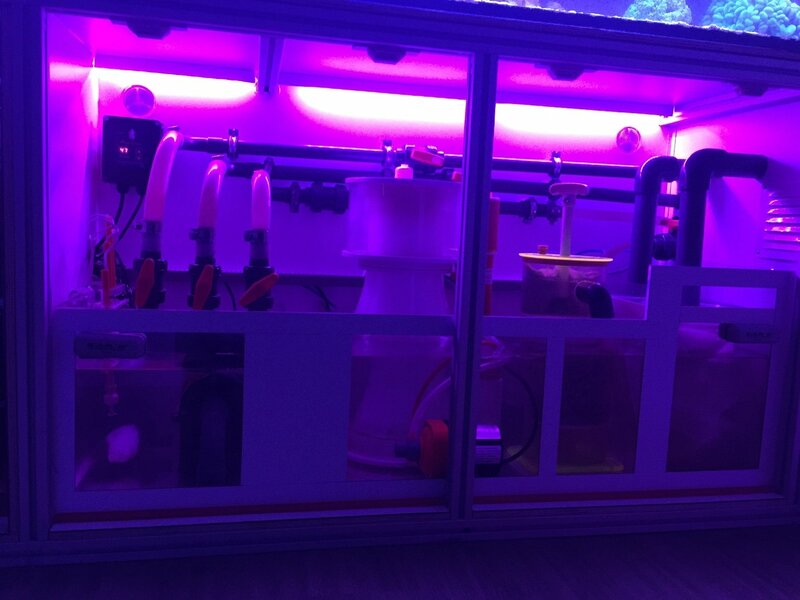 Post your pictures and skimmer setup here! Computer profilux 2 plus full option. Last edited by w.vreeswijk; 12/26/2015 at 03:45 PM. Wow!!!! 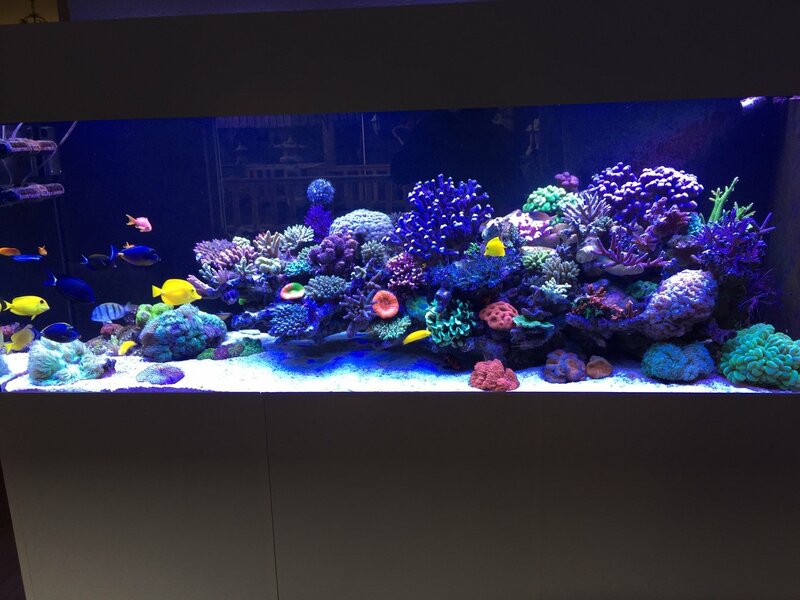 Beautiful tank and coral!! Very impressive! Scott, I will lower it to 30. Can you explain to me what that number signifies and impacts? I am getting a good foam on it now. As my bio load gets heavier would I need to change that number upwards. 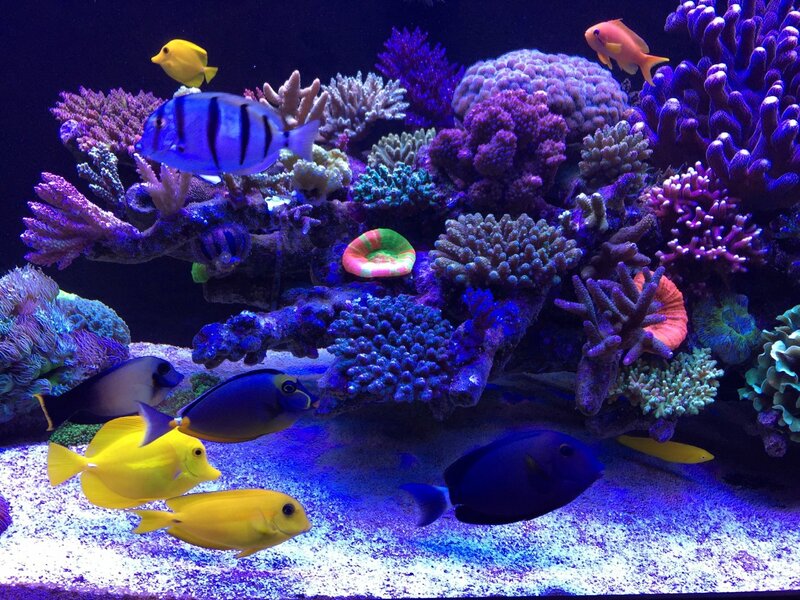 Right now, I only have 6-7 fish larger then 6 inches all being tangs or Angels. The higher the wattage the greater the flow of water and air into the skimmer. This will raise the water level inside the skimmer, decrease contact time and increase bubble size. 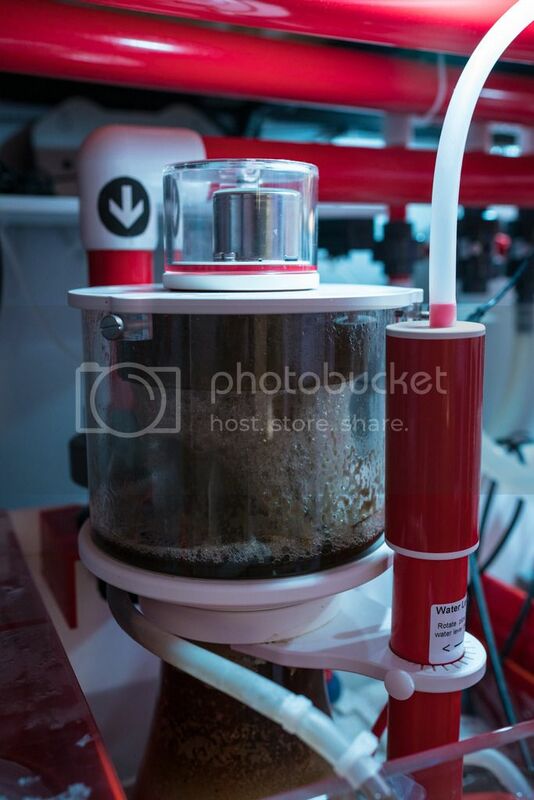 The amount of dissolved organics will also have an impact on the foam level inside the skimmer. The more organics, the higher the foam level. As your loads increases, the DOC's will increase and you more than likely will need to lower the pump level to keep it from overflowing. I have an SM250 and run my skimmer at 37 watts which gives the perfect balance of flow and fine bubbles into that particular skimmer. The 200 body size is smaller so you should be running it at a lower power level. 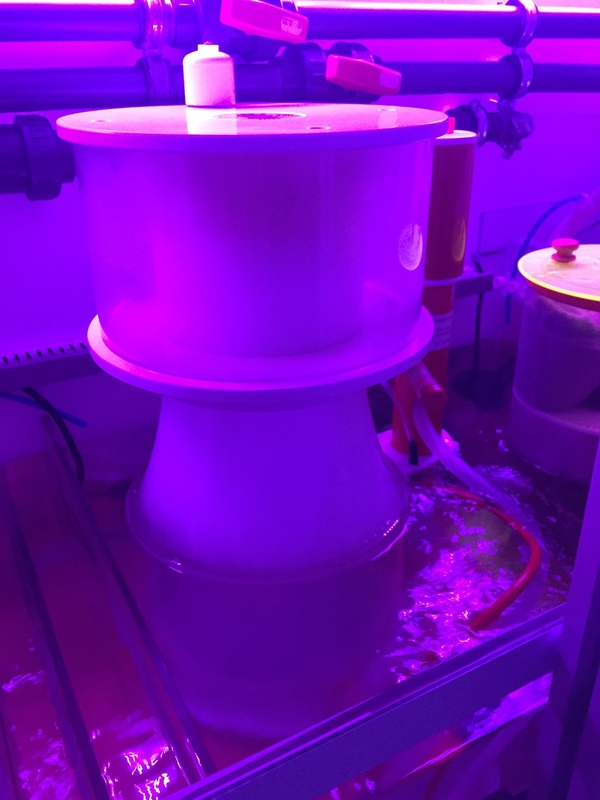 I would reduce it to 30 watts and if you find the bubbles aren't far enough up into the neck, try closing the wedge pipe a tiny bit to raise the level inside the skimmer. That or raise your water level in your sump if you can. The lower speed level will also result in slighly smaller bubbles which should result in a bit more dense foam with increased contact time. Drop the power level a couple watts at a time and pay attention to the bubbles inside the neck. You might even remove the lid so you can look down into the neck and get a feel for what the bubbles/foam looks like as you make minor pump adjustments. It's kind of a trial and error thing as different loads and amount of dissolved organics dictate different settings to a minor degree which is where fine tuning comes into play. This is something the RD3 is very good for because of it very fine incremental steps in pump power. Sweet. Thanks Scott. I dropped it to 30 last night before I went to bed. I'll check it today. 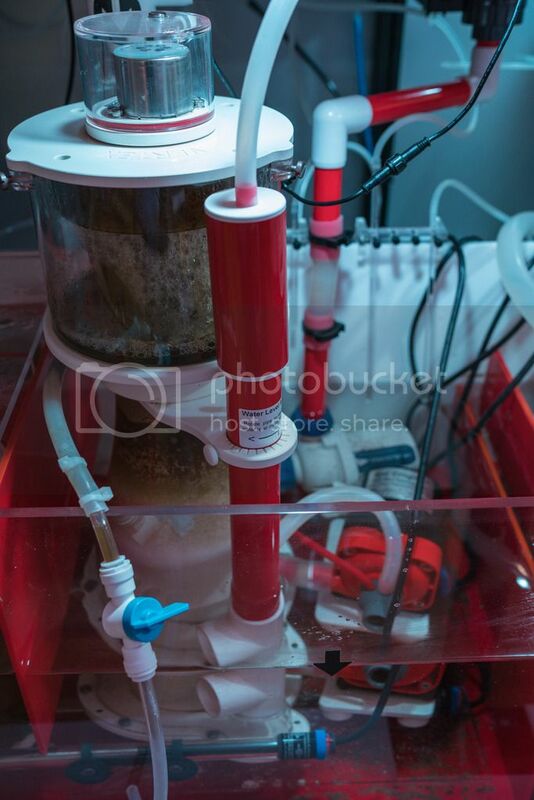 There is plenty of dissolved organics in my water column due to previous skimmer performance issues. I will try to post a video later of how it's going. There was actually a very good foam head on it last night. Can I post videos thru photo bucket? I think photobucket supports videos. I always upload to YouTube but PB should be fine. It's only showing my whole album. Yes, you need a YouTube account to upload video to youtube. Last edited by biecacka; 12/27/2015 at 02:37 PM. 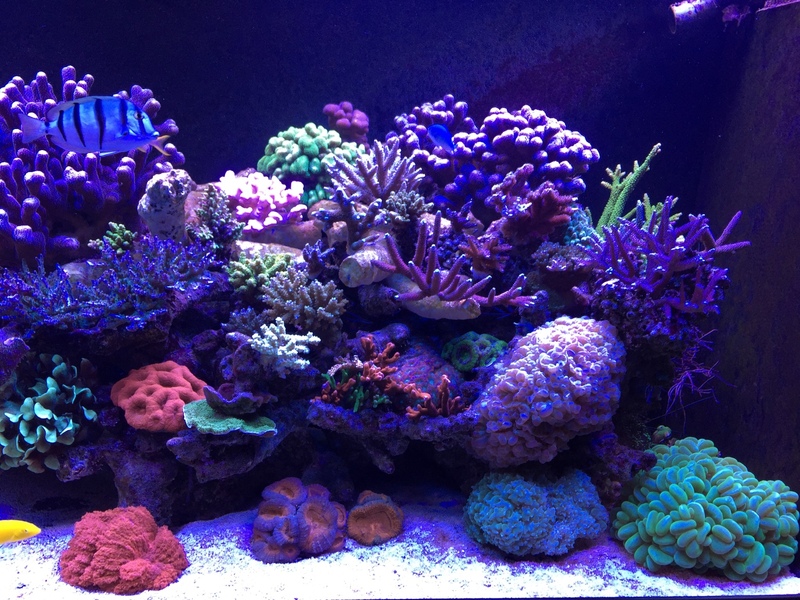 Tank is still new at about 3 months and I am slowly tidying up the cabling and connections. 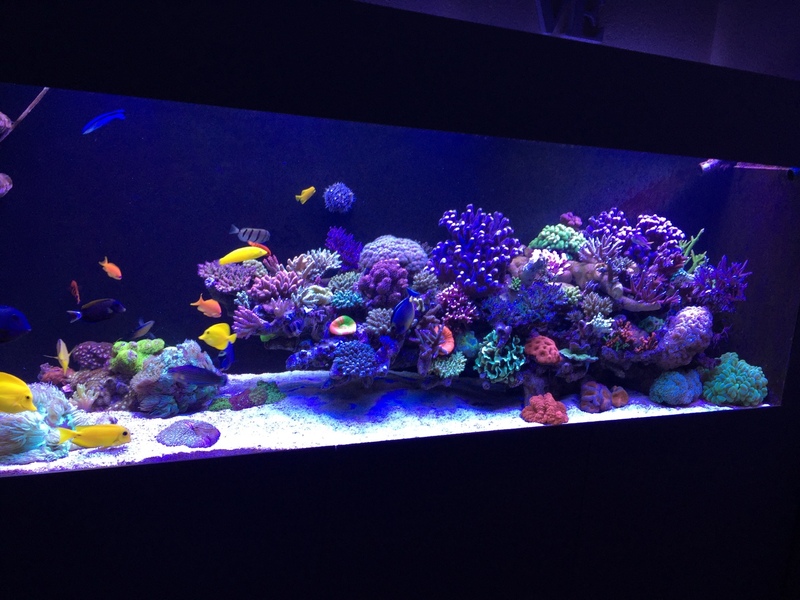 Tank is a shallow custom peninsula reef 60x36x14 inches approx 130 gallons. Sump is approximately 50 gallons - 48x16x16. Fish load is still low given the tank age, but will increase in time as I transfer my livestock from LA to SF. Skimmer is DC180 with RD3 set at 37~38w. 2 Ecotech vectra M1. One for UV, and ARID reactor and one for seaswirl. 1 Abyzz 100 for main flow placed inside a korallenwelt dedicated rock. 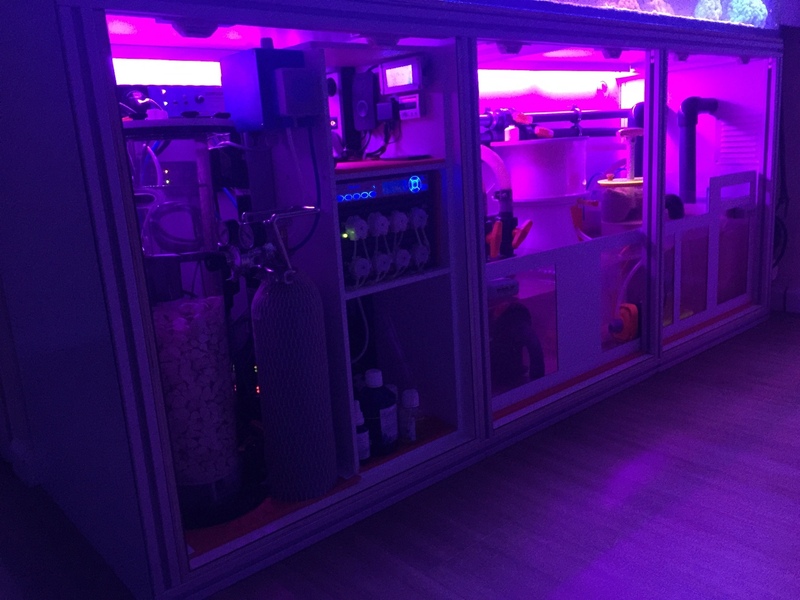 Everything is connected to an Apex with 3 DOS and 2 DDR's for auto water changes and dosing. 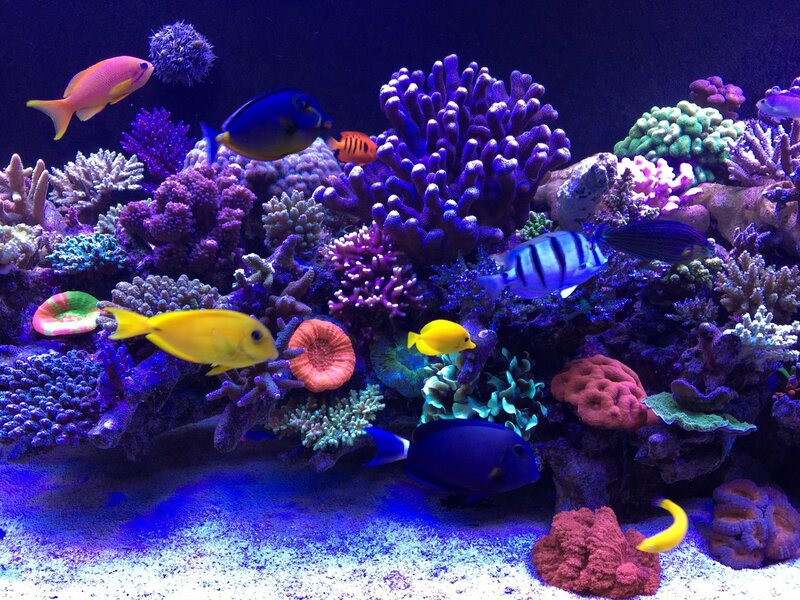 Love the skimmer, I think it is one of the best investments one can make for their tank. The fine tuning provided by the RD3 and build quality are unmatched. Very nice. That is a beautiful setup and plumbing job! What's your sump level? You sure are running that pump at a high power setting.. I would guess your sump level is really low or you tank is REALLY lightly stocked. The skimmer is on an acrylic platform I built to raise it by about 2.5 inches. The current water level is just shy of 7 inches which is within RE recommended level according to the manual. I had to build the platform because my sump doesn't have water level adjustments and without raising it it would have been in over 9 inches of water. Should I close the volute pipe to compensate for the lower organics and decrease the power setting? The reason I have to keep that power setting is because of the light fish load. Only one foxface, 6 blue eyed cardinals, a Centropyge bispinosa and a Salarias fasciatus. The bigger source of organics comes from one of my large carpet anemones soon to be joined by an even larger one. More fish will follow, but yeah right now it is lightly stocked. Tough call. Looking at your photos, you have some nice foam there. Your lower water level necessates the higher pump speed. I assume given your pump speed that the wedge pipe is mostly open. While your sump level is within range, "ideal" depth is 7.75 to 8.5". Heck, even 9" is still within range but ideal depth is kind of dependent on things like salinity and load but it's also impacted by pump speed. Given your low load, I would probably try removing the stand so the skimmer is in 9" of water, open the wedge all the way and reduce the power down to 27 watts and see what that does. If the foam looks nice but the water level is low, you can close the wedge pipe some or increase the pump speed slightly. 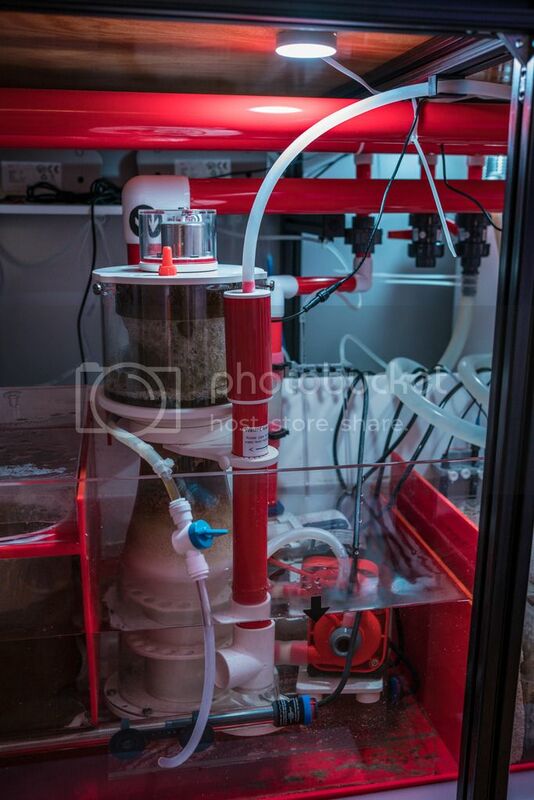 Obviously you can always go back by putting the stand back in and increasing the power back to your existing settings but I think you might get even better results and you will certainly increase contact time with the lower flow through the skimmer. Kind of 6 of this a half a dozen of the other. It's obviously working well right now given your sump depth and low load but I can't help but wonder if it could work even better even though that may be hard to imagine. Once you load is increased you would be better suited with a depth of 8-8.5" and the lower pump speed that should be somewhere between 27 and 32 watts depending on load and depth..
Last edited by slief; 12/28/2015 at 04:45 PM. Thanks for the tips, I will try removing the stand and see what happens. Keep me posted. I am eager to hear the results. It's obviously easy to go back to the original setup. You are kind of in gray area since you load is so low but I think you could get away with the deeper sump depth and lower power setting which will increase your contact time. I intend running ozone on my 180 mini..... Is there a recommended max on these skimmers? Will ozone affect the performance? Ozone will impact the skimmers performance and likely darken the skim up a bit as it oxidizes the organics it comes in contact with. I will be honest and tell you that I am not a fan of running ozone through the skimmer. Ozone is an oxidizer and it will degrade many plastics that it comes in contact with. Not only that, it's also toxic to humans and pets. The skimmer itself is ozone safe but you need to insure that excess or residual ozone isn't escaping the skimmer. This means that the vents on the skimmer lid should be vented though carbon and the skimmers effluent should be routed through carbon as well. 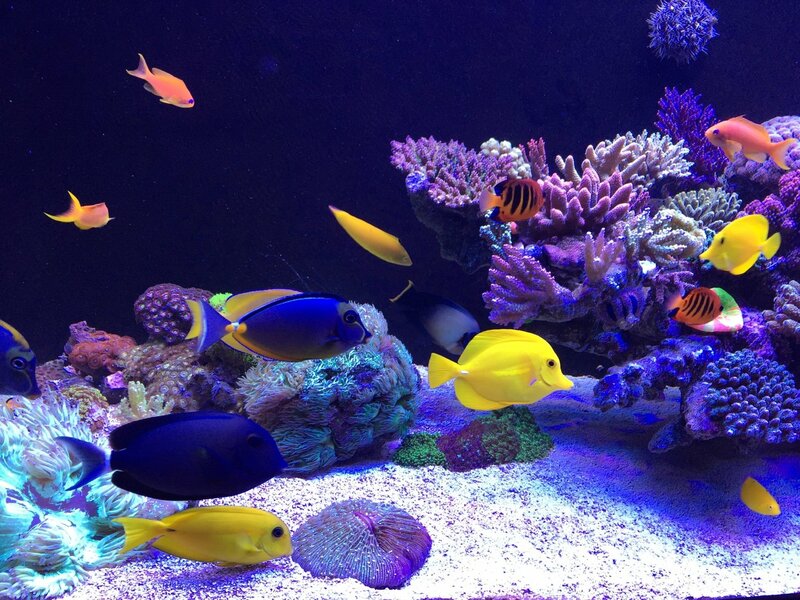 Some people will place a large conainer over the skimmer lids with holes in it and screen and fill it with carbon so that the skimmer lid can still breath and any ozone that is escaping in the bubbles can be filtered out. Insuring that no ozone escapes through the skimmer effluent line is a bit more tricky. Especially given that the effluent line is low down and ideally you want all the skimmer water to flow through the carbon. To do that properly, I'm of the mindset that you would ideally have some sort of a reactor connected to the effluent line on the skimmer so that all water is forced through the carbon without allowing residual ozone to escape into the air. The issue is that you don't want to restrict the effluent line of the skimmer because that will impact the water level in the skimmer and cause issues tuning the skimmer. Residual ozone that escapes can and will make some plastics and tubing brittle in a hurry. Not only that but as mentioned above, residual ozone can be toxic so it's very important that you remove all residual ozone from the air and water. For the reasons above, I much prefer running ozone through a dedicated reactor with a 2nd reactor plumbed downstream that is filled with carbon. I've used ozone both ways an found the reactor to be much more effective, more controllable, safer and much easier to eliminate all the residual ozone. Lastly, should you decide to use ozone, be sure to use lignite carbon. That is the most effective carbon for removing residual ozone. Now that l've added a reactor for Siporax to my sump things are really tight, that's why l'm looking at taking out my " reactor " skimmer and introducing ozone to my Bubble King. Is 50mg the max ozone the BK will handle? This morning....what do you think? Looks pretty good. Do you have the collection cup draining to a container? I don't see any skimmate in the cup to really judge what the skim looks like. I use/used the avast ozone reactor too. It's an OK design and works well. I packed it with that pasta looking bio bale media. It's fed from my manifold and drains into a carbon reactor (down flow). It worked pretty well and gave better contact time than I could get from the skimmer. The skimmer you have will certainly handle the ozone like any other skimmer. Just be careful to strip as much of the residual ozone as you can. I would suggest plugging off the drain in the cup for now as the skimmate in the cup will be the best indicator of how the skimmer is performing. Color of the skim as well as volume of skim being collected. I might suggest closing the wedge pipe a tiny tiny bit but before doing so, it would be good to let it run for 24 hours with the drain plugged off so it collects in the cup. If you do decide to close the wedge, no more than 1/8 of an inch would do the trick. Just a crack so it raises the water level ever so slighly. Be sure to plug the drain so we can see what's collecting in there. Then report back in the thread below as I would like to keep this current thread more about what people's final setup is so we can use it as a reference point for what is working for different people with different skimmers. The thread below will be used as a reference point for how we go about setting the different skimmers up and what to look for when doing so. Your install is a perfect example for that thead. Something cool that I haven't seen too many people talk about is an automatic skimmer drain. I have a masterflex pump hooked up to my skimmer drain. I push a button on my apex, and it pumps out all the skimmate to my outside drain. Works awesome!